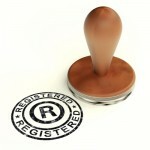 Home » Blog » Will registration, is it worth it? Will registration, is it worth it? Will registration is not compulsory in the UK. Many people don’t even consider the possibility of Will registration. Are they right to ignore the benefits of registering such an important document? Some clients I’ve encountered over the years have been adamant they don’t want anyone in their family to know they’ve made a Will. Well, privacy is their right, but there’s a big difference between keeping the contents of your Will private and keeping the existence of your Will a secret. If no one other than your solicitor knows you’ve made a Will there’s a big risk your Will could get overlooked when you die. Will registration doesn’t reveal the contents of your Will. It records on a central register the fact that you have made a Will and where it’s located. An attendee at one of our Wills & Probate Workshops asked how to trace a Will made 27 years ago. The whereabouts of the firm of solicitors who prepared the Will wasn’t known to her and the lady assumed the Will was probably lost and the deceased’s estate would have to be distributed under the intestacy rules. Using a Will register search we were able to help her track down the whereabouts of the missing Will. There are dangers in distributing assets without having made any real effort to trace a missing Will; some of them are listed below. Here are some points to think about if you haven’t registered your Will yet. Even if you make a point of telling other people where your Will is stored it’s quite likely they’ll forget and there is then a substantial risk that after you’ve gone your family won’t be able to find the document unless it’s registered. If your assets are distributed incorrectly as a result there are likely to be serious consequences both for the beneficiaries who’ve lost out and for the people who have taken responsibility for administering your estate. The personal representatives could face legal action if the missing Will is subsequently found. They could be held personally liable to compensate the beneficiaries who have lost their inheritances unless the personal representatives can show they made reasonable efforts to locate the missing Will. People store their Wills in all kinds of places. If a Will is made through a solicitor or Will writer it’s quite likely that the document will be stored with that firm. But as more and more people are using a variety of mechanisms to make their own Wills there’s going to be a greater chance their Wills are stored somewhere else. Some people have a safe at their home and choose to store their Will in it. Some just keep it in a cardboard box under the bed; a very unwise but surprisingly common choice – not one we would recommend,of course! How can Will registration help? One way to safeguard your Will is to get it registered as soon as you have signed the document. There are several organisations that register Wills. When a Will has been logged by Will registration there is an independent record of the existence of the Will. The foremost Will registration service in the UK is the Certainty National Will Register which is endorsed by the Law Society and many other professional bodies and charities. Certainty record the location where a Will is stored and details such as the names of the executors and the date of the Will. They do not store the Will or see a copy of it. The contents of the Will remain private. When the person who made the Will dies, if their family don’t know if a Will exists or where it’s stored a search of the register quickly reveals that information. Certainty not only maintain their own growing database of 5 million Will registrations but they can also extend the search for a missing Will by locating Wills that are not registered on their system. Through an extensive network of connections Certainty can help to track down Wills stored with solicitors and will writers throughout the UK. Of course, if you’re storing your Will under a pile of old newspapers or in the back of a filing cabinet in your garage (yes – it happens!) then it’s likely to be much more difficult to track down your Will if it’s not registered. At Barker Evans Private Client Law we believe that our clients’ Wills are too valuable to leave unprotected which is why we joined Certainty as a full member. We are convinced that Will registration offers a real benefit to our clients which is why we have chosen to offer all our clients the opportunity to have their Wills registered at a special reduced rate. If you store your Will with us we can register your Will for you and your registration fee is only half the cost of the standard fee Certainty charge for Will registration.